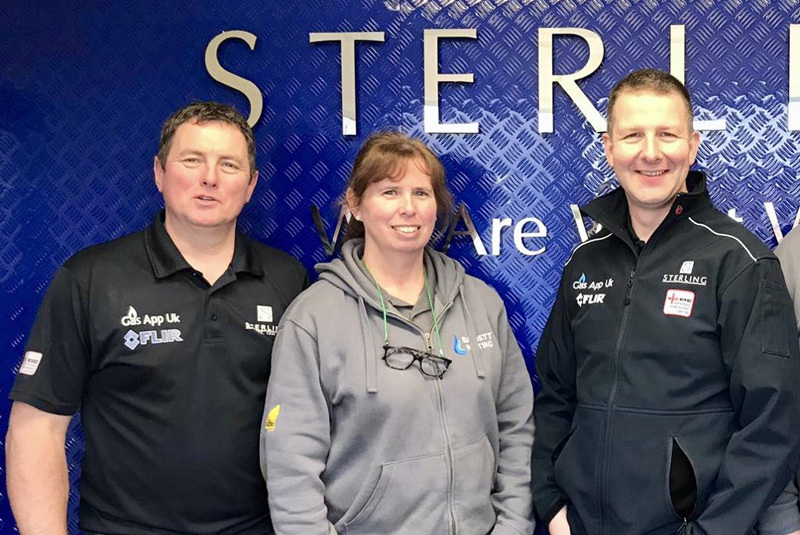 In the first of a new series, we catch up with Marie Barrett, who runs Essex-based Barrett Heating with her husband, Shaun. Marie is currently training with Sterling Assessment Centre to become a qualified gas engineer. Hi Marie, tell us a little more about yourself and your background in the industry? I first came into the industry 12 years ago. I started off working one day a week in the office, typing invoices and answering the phone calls etc. It then eventually progressed to full time. We’d had a few apprentices that just didn’t come up to scratch and want to learn. After letting go of our last apprentice, Shaun would occasionally need me to go on site with him to help. This happened more and more and I found the more I did, the less I wanted to be in the office. So, in September 2017 I was officially the new apprentice! I have learned a huge amount since being ‘hands on’. It has been most beneficial when customers phone with queries, as I now have a better understanding of what the problem might be, without having to run to Shaun for answers all the time! I decided to start my training so Barrett Heating can thrive and Shaun’s wealth of knowledge can be passed on to someone who is willing to learn. The team at Sterling Assessment Centre, where I will be doing my Managed Learning Programme, have given me the encouragement and confidence to make me feel that I can be a successful candidate on the course. What aspects of the training are you looking forward to and what do you expect to be a challenge? I’m looking forward to training with other like-minded individuals and gaining knowledge from a different perspective. The main challenge I foresee will be remembering all the information I am given! Also, maths has never been a strong subject, so the calculations may prove to be a challenge. From your experiences of the industry so far, do you think it’s important to encourage more women into the trade? I definitely think it is important to encourage more women into the trade. If women can now go to war, why can’t they be gas engineers? !